Dan Jones is owner and principal of Campbell & Pound Appraisals and Campbell & Pound Commercial Ltd (GVA, Fraser Valley, Sea to Sky Region and Sunshine Coast, BC). Dan has been an active member of the AIC since 1973 and received his AACI designation in 1986. Dan is a past-president of the British Columbia Association of the Appraisal Institute of Canada. Dan began his volunteerism in 1988-89 helping design the Standardized AIC Appraisal Form on the Membership Services Committee with past president Jack Warren. In 1998 through to current, Mr. Jones also has been a member of the Board of Examiners on the Admissions Committee servicing British Columbia continuously over the past 19 years. He has also served on the executive of the Vancouver Chapter since 2002. Dan was elected to the AIC-BC Board of Directors in 2004 and has represented the Vancouver Chapter since that time including his time serving as President. 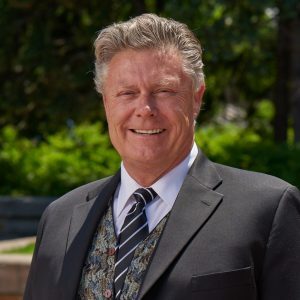 Dan was elected in March of 2013 to his current third year term ending 2019 as National Board Director for the Appraisal Institute of Canada National. In addition, he sat on the AIC 2015 Conference Committee, and current sits as a member of the Admissions , and Accreditation Committee serving out a two year term. Dan has been a tireless volunteer sitting on the Provincial Board of Examiners continuously over the past nine years. He has also been Chair of the Provincial Marketing Committee for the past four years as well as serving on the Provincial Admissions Committee. Mr. Jones also sits as an appointed Board member of the Assessment Appeal Board of Squiala First Nation in Chilliwack and the Tsleil Waututh First Nation in North Vancouver. Dan Jones also holds membership in other associations in the real estate sector including the Real Estate Institute of Canada (REIC) (CRP, FRI, CMR Designations) the Real Estate Institute of British Columbia (REIBC) (RI designation), the British Columbia Expropriation Association (BCEA), and the National Association of Office and Industrial Park. In addition, Mr. Jones regularly attends National Association of Industrial and Office Properties (NAIOP), and International Right of Way Association (IRWA) functions. He is also a Platinum A+ Accredited Business member of the Better Business Bureau of Vancouver. Mr Jones is happily married and has two children.